As I write this (in my notebook), I am currently sitting next to a crackling campfire under a grove of old hemlock trees beside a secluded Algonquin lake. Later I counted the growth rings on an old grandfather hemlock and it was around 276 years old! This is one of our ‘base-camp’ days and we have been relaxing all morning, taking the beauty and serenity of this place into our being. After a couple days in Algonquin park your body begins to beat in sync with the natural rhythms of Creation. I awoke this morning to the call of the loon as its surreal voice echoed off of the hillside across the lake. Walking down to the waters edge of my Algonquin lake I looked south and spotted a bull moose feeding hungrily in the shallow wetland where a small creek empties into this lake. Our canoe trip group sipped our morning coffee and kept an eye on this stately animal for over an hour. As the birds sing and flirt through the trees, I am reminded of our connection to all things. The invisible threads that link us altogether. There is a power and sacredness to this land that touches us all in many ways. 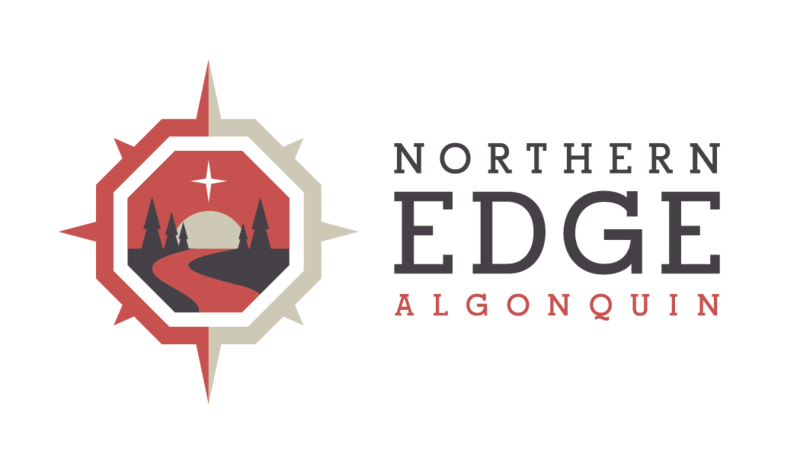 On each of these Algonquin Park Adventures it sinks further into the core of all of us and strengthens each of those ‘threads’ with each new experience.